Our web team received a compliment from Google recently. At a meeting of presidents and academic officers from Concordia University System institutions at Google’s headquarters in the Bay Area, in a presentation that included a focus on the importance of having a mobile strategy, I am told that Google said that one of the colleges and universities it had noted that does mobile right is a part of the Concordia University System–Concordia University Irvine. Google’s presentation showed what our website looked like on multiple devices. It was a nice compliment by Google for our web team, and I believe for the culture we’ve been cultivating in our Marketing and Communications team overall. But for us, it was a bit of old news. We began optimizing for mobile in 2011 when we opted for Responsive Web Design (RWD) instead a mobile application. It was a decision we made during the planning phase of our new undergraduate admissions microsite. Our team came to me with the recommendation to go with RWD. After thoughtful discussion, it seemed like doing so was the smart choice. We launched the microsite in September 2011. Making such a decision put us at the front of the curve of RWD adoption. And for a while, it was rather lonely. I remember our team defending our choice of RWD in conversations and on Twitter with colleagues and consultants at the EduWeb conference in San Antonio in August 2011. No one was talking RWD. Everyone was talking mobile applications. We preferred RWD because we disliked mobile apps. They minimized the effect of branding, and made the college website user experience very transactional. Marketing higher education is not the same as marketing books or widgets. We’re not Amazon.com. The purchase cycle is entirely different. It’s non-linear. Traditional students take years to decide. And for grad-adult students, Google said it all in their 2013 4th quarter education report: 61% of website visitors don’t convert for at least 30 days beyond the first visit, and 53% take 60 days or longer. So, for us it made little sense to go the route of the mobile application. We need a website that sustains interest in our brand story over the course of time. RWD was a wonderful solution for us. But it wasn’t just EduWeb. It seemed none of my colleagues (marketing leaders) or consultants at conferences even acknowledged the RWD option. I attended an Aslanian conference on marketing to adult and graduate students in San Francisco in February 2012. During a Q&A with the audience, the moderator made a comment something like, “none of us like mobile apps, but what are we to do? Mobile traffic is increasing and we have to be optimized for it.” I raised my hand and talked briefly about our decision to go with RWD. No one seemed to know about it, including the next presenter (a respected university CMO) who was speaking on marketing and…wait for it…developing mobile applications. All of this was a bit disconcerting to me. The only positive feedback we received was in early 2012 when The Lawlor Group, which was on our campus for a presentation to marketing leaders from Concordia University System institutions, gave us a thumbs up on our decision to go with RWD. Their feedback bolstered my confidence. Over the course of next few months, we continued to implement RWD, designing each new section of our website responsively. In summer 2012, our team went through the entire site to convert it to RWD. Then it all changed. In August 2012 at the EduWeb conference in Boston, the whole thing had turned around with RWD being a hot topic. I was one of the few in attendance who already had gone with RWD. A few of my colleagues congratulated me on our early adoption. A few months later, Mashable called 2013 the year of responsive web design. Being an early adopter means you’re not able to leverage the experience of others who have gone before you. But if you get it right, it also means you don’t have to spend more time and resources later on backtracking to the strategy you should have followed in the first place. But there’s something else of value if you get it right. Early adoption helps develop a team culture that isn’t afraid of being on the leading edge and encourages team members to think and dream boldly. It’s the kind of culture you’re going to need to attract and retain talent. But deciding to be an early adopter requires a confidence in your data and your instincts. Our decision was based on core beliefs about our prospects and the college search process. And our web team had done its homework about the responsive web design option. You see, you can’t be on the leading edge of adoption if you’re not paying attention. Google analytics and CRMs provide us with a wealth of data about the digital journey of our prospects, inquirers, and applicants. But how are universities assessing the effectiveness of traditional media advertising? 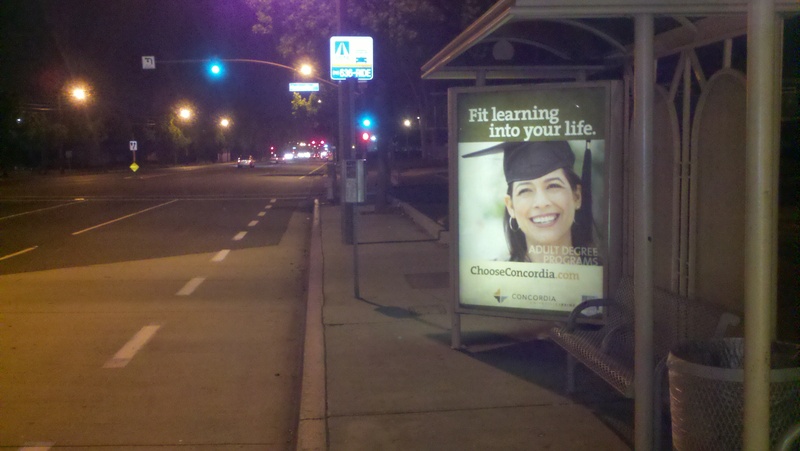 For those of us who live in the marketing higher education world, we understand there’s no way to know with certainty how many students we enroll because of a particular outdoor or radio ad. Oh, you’ll hear and read about using shortened URLs in traditional advertising to drive traffic to a specific landing page in order to convert the prospect and track his/her journey to enrollment. But we know it’s not that easy. For one thing, most people don’t type in URLs to get to a website. They search for it. In this scenario, with proper coding, you’ll know the prospect inquired because of the billboard advertisement. If this is the path your prospects take, you’re in luck–and alone. It’s almost never this easy. Analyzing this journey, Google Analytics will tell you what the last action was that led to conversion, and may give credit for the conversion to the PPC ad. Google values last action. But we both know that the first, second, and third actions are what got the prospect to the website in the first place. How do we show that? Outdoor and radio are two advertising tactics designed to increase name awareness for prospects currently in the college search process, and for those who will be in it at some point in the future. It’s branding. These tactics should be driving the needle. We should see increased website traffic, which is the purest indicator of success with traditional media. Once prospects get to the website, we introduce brand and website variables that influence conversion. Even so, I’m still interested in inquiries and applications during ad campaigns. It’s still about enrollment revenue. Thus we’re keeping tabs on all three numbers during advertising campaigns. For our executive and program leadership here, we’re using spreadsheets to communicate the correlations. It communicates the data effectively, and that’s the format they desire. However, I’m in the process of trying to find graphical representations of the correlations that may point out additional takeaways from the data. At Loyola University Maryland, they’ve found the same thing–that a mix of outdoor, digital, and some radio works well for them, according to a presentation last November by Sharon Higgins, assistant vice president at Loyola University Maryland, and Eric Jones, VP of digital marketing at R2Integrated at the AMA conference in Boston. And they’re finding success in communicating their results with sophisticated graphics that tell the story. It’s the sort of approach I’m exploring on what I suppose will be a never-ending process of assessing return on investment. Today, as I reflect on Martin Luther King, Jr. Day in the USA, I offer some thoughts about diversity in higher education, adapting an earlier post on the subject that was written in the wake of the Arizona immigration law. It was a Sunday evening early in August years ago. Athletes and student leaders moved in the day before, and one had just arrived unexpectedly. I received a phone call from campus safety and headed to the college. I met Sam for the first time. He had just arrived after a long flight from Cameroon. He was hungry. So off we went to his first American restaurant. Never having met before, each from a different culture and with different perspectives, we spent about two hours getting to know one another over dinner. About a week later, after he got settled on campus and with the soccer team, my family and I had the fun experience of going to Disneyland with him. What a joy it was watching him take it all in. I’ll never forget Sam being mesmerized by The Lion King parade. Now that was something. Homesick for Africa, Sam was finding joy in the sights and sounds of that parade. He had never seen anything like it. Neither had I. College life has always been a multicultural experience for me. As a professor, I had an ethnically diverse group of students, and a few from other countries like India, Yugoslavia (it was the 1980s), and Japan. As an undergraduate student, I had classmates from Germany, Iran, Japan, Canada, Samoa, etc., along with friends of ethnicity not my own, and from different geographic regions in the United States. My closest friends in college were quite different from me in background, ethnicity and lifestyle. Then it happened. After suggesting to a friend of mine who is Hispanic that he should ask out a beautiful Hispanic student on campus, I fell for her instead. She became the love of my life, and my world expanded further. Not everyone understood. But we worked it out and attitudes came around. Our wedding was filled with joy as our diverse wedding party and our families from different cultures celebrated our marriage. Our family grew to four with a son and a daughter, and now includes a son-in-law and granddaughter. Our world is indeed diverse. My wife and I have been involved in multicultural education, she in highly diverse public elementary and middle schools (administrator), and I in higher education (Hispanic Serving Institution initiative). Looking back, I am grateful for the positive multicultural experiences I’ve had as an undergraduate student and as a higher education professional that have widened my perspectives, helped shape my worldview, and opened up a new life for me. Colleges and universities work hard at fostering a supportive diverse community by integrating multicultural perspectives campus wide. Diversity isn’t relegated to a few courses and student affairs policies. Institutions focus on access (students and faculty), curriculum and scholarship, institutional leadership, campus climate, and retention. But these are only the parts of diversity in higher education. What holds diversity together and makes it a gestalt experience for students, faculty, staff and administration is that it happens in a community. So, as marketing higher education professionals, how should we brand such a community? How do we show the value of diversity on our campuses, connecting it to alumni, prospective students and their parents, some of whom who may not totally get it? First, tell stories, just like I did about myself in this post. Don’t just show the obligatory diverse photos. Photos tend to look staged, like you’re not being authentic. Stories, on the other hand, connect with the heart and touch our shared human experiences. They get beyond race, ethnicity, and creed, and connect the prospect with the story you’re telling. Nobody at UCLA keeps score on who you are, they just want to see what you do. It’s a wonderful tagline that reminds us of what’s possible creatively as we work to brand our universities. 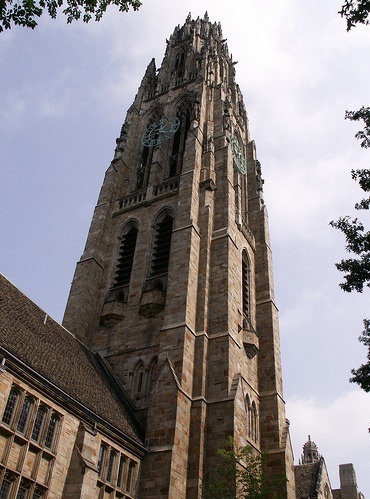 At the end of day two at the American Marketing Association Symposium on the Marketing of Higher Education held last month in Boston, I joined about 15 marketing leaders at a roundtable group thoughtfully discussing marketing at faith-based colleges and universities. What I heard sounded familiar. There were a number of marketing leaders struggling with their institution’s desire to have the religious identity of their institution used prominently in branding even though they know it isn’t important to their target markets. Branding at an identity-driven institution is a challenge because sometimes it’s seemingly not possible to reconcile the goals of making data-based decisions with emphasizing religious identity. It’s a tough spot to be in for a marketing leader. Deciding not to base brand messaging decisions on market data is not wise, but neither is choosing not to emphasize religious identity at an identity-driven institution. Question the data. Never take data at face value. In this case, just because prospective students and students say they don’t care about the religious identity of your institution, it doesn’t mean that they don’t desire the academic life, campus life, culture, and values that flow out of your religious identity. Remember that we’re talking about Millennials, who, generally speaking, value spirituality over organized religion. Think student experience, not identity. Thus find a way to connect the dots between the student experience you offer and your faith tradition. Identity shouts from the ivory tower, “this is who we are!” Branding connects that identity to markets. In other words, don’t just talk about who you are. Tell prospective students how it will make a difference to their college experience. I’ve worked for two identity-driven Protestant universities. Both institutions have a Christian identity, but the student experience at each institution is vastly different from the other. 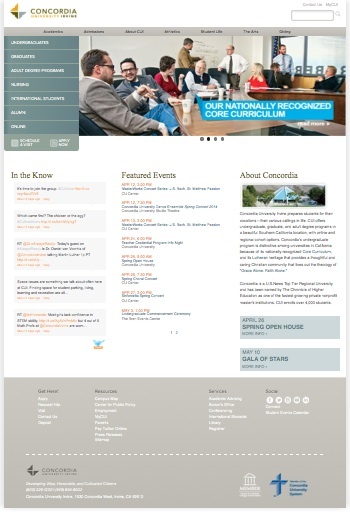 Concordia University Irvine, my present employer, has a heritage of Lutheran theological thought that strongly influences its approach to both academics and campus life. It’s my job as Concordia’s chief marketing officer to brand our identity in such a way that prospective students understand what we bring to the student experience, thus making it clear how Concordia is different from other universities. For traditional undergraduates, we’ve branded our identity and positioned our university with our undergraduate viewbook and our admissions microsite, both of which talk about helping our students develop their gifts through our core curriculum, and their major, in a campus culture that invites their participation in the faith rather than requiring it. All three of these brand message points–vocational calling/core curriculum/Grace Alone, Faith Alone theology–rise out of our identity as a Lutheran university. Talking about our identity means something to prospective students because we’ve branded it and connected it to the student experience we offer. Words don’t hold meaning. People do. As you work to brand your identity, keep in mind and educate leadership that words hold no meaning. People hold the meanings of words. Therefore, know your audience. Your identity may carry with it very positive meaning to your target markets, or not. Or your target markets may not understand your identity language whatsoever. Use care in how you wordsmith your brand messaging. Educate leadership. It’s vital that the CMO at an identity-driven institution has a voice in the identity conversations on campus, and educates leadership on the need to brand identity. If you do so, they’ll understand your branding decisions, and trust will grow if they see how you’re authentically branding your institution’s identity. I’ve written other posts on the subject if you’re interested in exploring this topic further, and as always, I’m available to talk. As I begin this post, I’m in a plane headed home from the American Marketing Association Symposium for the Marketing of Higher Education. Now there’s a keyphrase for you. It was a productive conference for me. The sessions were relevant, and I had the joy of meeting a number of colleagues and reconnecting with others. I highly recommend it. After being at the conference, it’s clear to me that those of us in the marketing not-for-profit higher education profession are of the same tribe. We have the same DNA. We may be creatively inclined, or numbers may be our thing, but it’s the combination of being both mission and market driven that gives us purpose in our jobs. Good thing. If market were our only passion, we’d be hard pressed to stay in the not-for-profit higher education marketing sector. Our heritage is one of being the voice crying in the wilderness regarding the market and marketing on our campuses, and this heritage has limited our resources and slowed us in evolving our marketing organizations. It’s one reason why the not-for-profit higher education marketing sector has typically been behind the rest of the industry with adopting trends. Meanwhile, the for-profit higher education marketing sector has been taking advantage of our lack of aggressiveness with the market. Case in point, big data. Simply put, the big data to which I’m referring is data at the granular level that informs colleges and universities to more accurately identify, locate, and qualify prospective students for marketing and admissions. Some of the potential of this data has been used for years by not-for-profit colleges and universities in traditional undergraduate search campaigns. However, in the increasingly important graduate and adult markets, most not-for-profit colleges and universities, which are typically organizationally decentralized, are not tapping into the potential of big data. On the other hand, for-profit universities and for-profit companies that provide Online Program Management (OPM) are using big data to identify and qualify leads and inquirers with the ability to segment prospective students into any one of 200 consumer group profiles, give or take. They know where they live and how they live their lives. Consequently, they not only have proven to work harder for prospective students, they work much smarter. The challenge for not-for-profit colleges and universities is how to shift marketing and admissions resources and develop the expertise needed to take advantage of big data. In a show of hands in a good pre-conference tutorial session on digital with Bob Johnson, only a handful of people out of about 40 in attendance raised their hands when asked if they had a data analyst on their team. That’s a big problem for colleges and universities competing against for-profit competitors with teams of data analysts. At some point very soon, not-for-profit higher education marketing organizations are going to need to get more talented and experienced with big data and the more sophisticated marketing tactics it informs. For those who are able to figure it out and organize for it, big data is a big opportunity. There’s a lot being written about brands making the transition from outbound marketing to inbound marketing, which has practical implications on the media mix. Before I get started, let’s define the terms. Outbound marketing is traditional advertising and promotion, i.e., billboards, TV commercials, radio spots, direct mail, email marketing, etc. Outbound marketing identifies target markets and takes your brand to the consumer. It’s designed to generate leads for those prospects in the purchase cycle, and brand your product to others who will be in the cycle at some point. I love that last line about inbound marketing. It’s a quick overview of what we must do in today’s market. While outbound works to grab attention, inbound works to engage those who are actively in the purchase cycle. Today, it seems to be all about inbound marketing. At least that’s what my email inbox indicates with many vendors telling me, “Outbound marketing no longer works, especially with Millennials. Inbound is where you need to be.” Of course, what they mean is that I should be shifting my finite marketing dollars to their inbound marketing company and away from outbound marketing vendors. What’s ironic is their use of outbound tactics to get my attention. They do have a point. We’re all experiencing the market shift. Admissions Offices nationwide have increased numbers of stealth applicants–those students who first appear in our funnels when they apply for admission. In other words, they were checking us out on their own without inquiring. *These stats are first-contact numbers, i.e., a particular tactic was credited when the prospect was entered into our system. Because of that, and because of the extended higher education purchase cycle, multiple platforms, and how students now choose college, the waters are muddied when it comes to crediting tactics. The truth is that talking about inbound and outbound marketing is a bit like comparing apples and oranges. Outbound marketing’s work is largely at the top of the funnel driving prospects to your inbound marketing content. Inbound marketing’s work is ongoing above the funnel (e.g., SEO) and down throughout, which means your inbound marketing tactics will play an integral role in moving an outbound lead down the funnel. 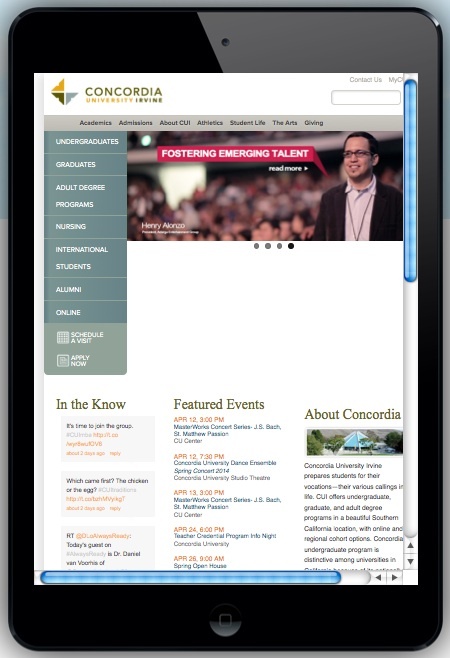 Thus we have made a large investment at Concordia University Irvine in inbound marketing tactics and content strategy across media. Most of our media mix is inbound-related. However, we’ve also invested in more aggressive outbound tactics, which continue to produce. And I’m not about to mess with that. The reality is that in this current market environment we have to do both inbound and outbound marketing. As CMO, I must build a team of employees and vendors that can cover all of those bases well. We’ve got to be good at list procurement, media advertising, email marketing, and call center work. But we have to be even better at producing relevant and engaging content for our target markets across media and platforms. As a result, our identity is changing. Marketing and Communications, also known as MarCom, infers a service department doing outbound marketing. However, the market has moved us to increasingly see our identity as content producers. But I’ll leave that for another post. I haven’t been in the habit of writing about successful enrollment seasons, choosing instead to talk about the strategies and tactics that lead to them. But the reality is that we live or die by the numbers, and enrolled students are the ultimate return on investment. If you’ve worked in admissions and marketing long enough, you’re going to experience highs and lows. This year, a lot of colleges and universities are experiencing enrollment decline. Unfortunately, It’s a tough time for many of our colleagues. However, that’s not the case here at Concordia University Irvine. Our admissions, marketing and communications team-under the leadership of our executive vice president and chief enrollment officer, Dr. Gary McDaniel–just wrapped up an extraordinary recruitment season. While not all programs on campus experienced an increase in enrollment, and while we are definitely not without concerns about our enrollment, we’ve paused this Fall to thank God from whom all blessings flow, and the many on campus who contributed to these increases. The breezes and the sunshine, the soft refreshing rain. So thank the Lord, oh thank the Lord for all His love. The lyrics speak gently about how the seasons work together for the harvest. But the sometimes cruel reality is that the seasons are powerful forces of nature that require skillful responses by the one who scatters the seed. Nature rules. 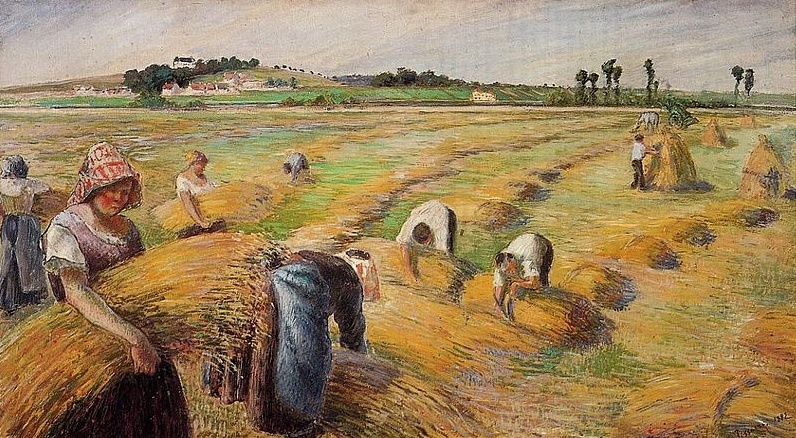 The sower is just grateful to God when the harvest is plentiful. Such is the case with marketing higher education. While we don’t manage crops exposed to unpredictable seasons, we do manage our academic and university brands in a world of powerful market dynamics that require skillful marketing tactics. Ignoring or misjudging those dynamics spells trouble. The market rules. Boiled down to its basic core, our responsibility as marketing leaders is to understand market dynamics and leverage them to our advantage in ways that are ethical and consistent with our mission. But marketing is more than promotion, and it takes more than just marketing and enrollment leadership. Importantly, it also takes institutional commitment and skill by administrative and academic leadership to understand the market dynamics of product, place, and price, and to leverage them in order to be successful. I’m grateful to work with university leadership that understands this. We’ll see what happens from here. Although we admittedly enjoy a better prospective student market than many other institutions, the competition is fierce, well-armed, and plotting to take our crops (market share). So, we’re off sowing in a new recruitment season, understanding that market dynamics are by definition dynamic, changing just as the seasons change, especially in a market ruled by Google. Keep that in mind whether you’re experiencing the highs or the lows of the admissions and marketing profession this fall enrollment (harvest) season.